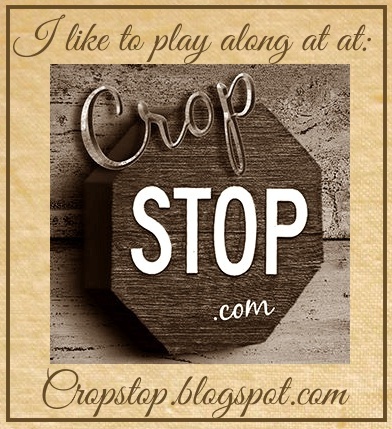 It's time for another challenge here on the Cropstop blog! Today I'm sharing a different kind of "spring" card created with Inka Gold metallic rub. I realize that Inka Gold isn't a new product, and I'm late to the party (as usual). However, since a lot of the mixed media supplies are "new" to me, I'm having a lot of fun discovering their uses and playing with them in my projects. The photo below gives you a better idea of the shimmer Inka Gold adds to your creations! If you use INKA GOLD on the project you link up this month, I'll enter your name twice (for each project linked) in the random draw! A beautiful card - love that butterfly - I do not have the gold product you are mentioning but I will be entering - thanks for the new challenge - have a blessed week Esther ~ it is a good day! Love your card and I love using clear gesso!! I keep a jar of it on my desk! Beautiful, Esther! You did a great job with the Inka Gold! I love that stuff. And, clear Gesso is the best! Oh how I love this, you have done an awesome job with these inka golds, looks terrific!! Wow!! This is one gorgeous card and now I need to go read up on clear gesso...which is completely new to me. I also have to admit that I haven't heard of Inka Gold metallic rub but have some similar products that I really need to play with more often. Thanks for another new challenge to inspire us! Your card is stunningly beautiful. Oh, my! I will have to try your technique; thank you so much for step by step instructions. Gorgeous butterfly using your Inka Gold, Esther. Love your textured background too. Hugs..
What a stunningly beautiful card!!! Love all the gleam and shimmer. Just gorgeous. Thank you for this fun challenge!